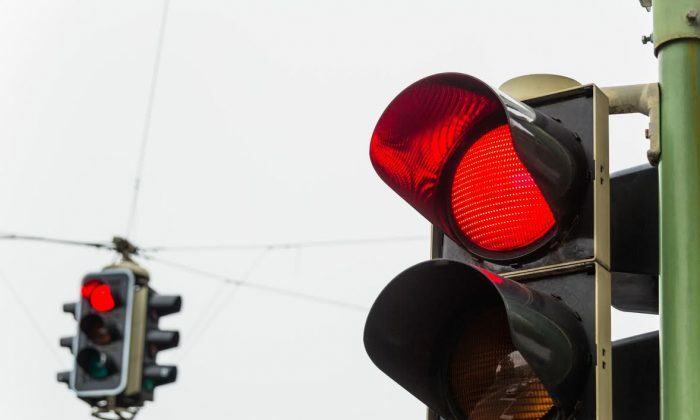 A six-year-old boy from Quincy, Massachusetts, called 911 on his father for driving through a red light. On May 28, Robert “Robbie” Richardson and his father, Mike Richardson, were on their way back home from shopping when his father “went through a red light.” Not only did Mike go through a red light, Robbie said, but his father was driving his wife’s brand new car. “He tells me, ‘Hey Dad, you just went through a red light.’ And I said, ‘No Robbie, you can go through that one as long as you stop and there’s nobody coming you can go.’ He says, ‘No you can’t. That light was red.’ So we get into the car wash and he says, I’m going to call the police dad,” Mike Richardson, told CBS Boston. As soon as they arrived home, Robbie called 911 immediately. In the audio recording that was posted Wednesday on the Quincy Police Department Facebook page, the dispatcher asks Robbie what his emergency is. “My daddy went past a red light,” Robbie says. The dispatcher then asks what happened next. “We had to go to the car wash and then he went past the red light,” Robbie responds. Not long into the call, the dispatcher asks Robbie if he can give the phone to his father. He obliges and hands the phone to Mike. Mike gets on the phone, and the dispatcher introduces himself before proceeding to tell him what the call was about. “Oh no, I apologize,” Mike says, laughing, after finding out his son had informed the police about what had transpired earlier on the road. Below is the full recording of the 911 call.